It is gratifying that the Russians have managed to partially evade the Mars curse ITTL and be the first to soft-land something on that planet. And meanwhile the incremental, slow-paced American unmanned program is paying off modestly, enough to overlap Muskie's grand Columbia manned Lunar program with Surveyor and Pioneer coming on line in harmony with it, achieving the OTL purpose of the Apollo-connected crash programs to scout out Luna without quite as much actual crashing! And these aren't ad hoc, hastily thrown together schemes but the evolutionary outcome of previous work that just happens to ripen in time to pave the way for Columbia. I'm sure the President is still framing the successful Pioneer and Surveyor orbiter in the context of Columbia though. Perhaps this means that NESSA's programs get a little boost from the Columbia slush fund, in gratitude as it were? Or vice versa--yes, the probe funding is increased, but more than the increase is demanded for more Lunar probes, scanting the plans for deeper space missions? Still, the infrastructure developed should help future planetary missions, if funding for them remains forthcoming on the modest levels of the 1960s. *seeing how Michel Van and I filled up the post space below the new canon post with stuff irrelevant to it, I thought I'd better put a link to the new post on top of this page. I love the way the NESSA use term Pathfinder, Surveyor and Pilgrim. Under Apollo program, all attempt for US unmanned Lunar rover and Lunar Sample return were suppress by NASA administration. Use the Pilgrim-1 Discovery hardware for landing the sample ? I have nothing against use of Oxygen / Hydrogene stage in Orbit, but as Centaur Stage ! They came to conclusion if standard S-II insulation is used of 76 tons of Hydrogene is after 5 days, through boiloff 51 tons left the Tank. and the Centaur got not insulation used on S-II, but with better Isolation things look better. NAR proposed a hydrogen gas "vapor barrier" between the LH2 and LOX tanks and applying "super-insulation" panels to the stage exterior. for Space tug and Manned Mars Mission they studies way back in 1960s/1970s allot of things on Cryogenic fuel storage. - Hard-Shell Tank, double hull with insulation between, who is seals and evacuated. - Tank with plastic or thin metal second hull, with insulation between who is seals and evacuated. - Tank using perforated multilayer (heat) radiation shields filled with helium gas during launch. Boeing estimate that Propulsion Module would lose on Mars mission around 10 tons Lh2 with third isolation method. Sorry again for falling behind on all your comments. I do try to keep up, but I’ve got quite a few balls in the air just now! Thank-you for your continued patience. Oooo, top secret manned spaceflight! Sitll though, very enjoyable chapter. For some reason, i'm getting a feeling that the Soviets might beat the Americans to the Moon, or the Americans might do a Dyna-Soar Moon landing. Welcome to the board, Sylandrophol! As you’ll have noticed from some of the other comments, you’re not the only one with this suspicion. Of course to win the race, the Soviets first have to enter it. As of late 1970 the Politburo still hasn’t authorised any moon shot. Whether or not that is a good idea, in 1969 both sides have seven years--really more like six and a half--to finalize and develop and use any method they are going to use for a July 1976 moon landing. Since as you say we haven't heard a peep from Nixonshead on the subject, we probably should assume these are mostly paper projects, with perhaps a testing program akin to OTL Nerva--which demonstrated problems as much as solutions. Like bits of the reactor core coming off and being spat out in the exhaust! For either side to depend on them now to meet a 1976 deadline would suggest either a whole lot of backstory Nixonshead has not mentioned hitherto, giving rosier outcomes than OTL seems to justify, or else a very foolhardy program management--one that will probably compound their impulsiveness by doubling down on pressure to get something working fast, which suggests all kinds of possible hidden fatal errors in the design. Shevek23’s got it pretty much right. Similarly to OTL, nuclear engines have dropped from serious consideration. Both sides are continuing to tinker with the concept and have tested some sub-scale nuclear thermal rockets, but neither side feel the need to push them for operational use. some thing were Dyna soar is perfect for, if you extend the glider to make it's Metal heat shield get larger to take the heat. I've been advocating that very thing as a possible approach, but also very skeptical Dyna-Soar's design is suited for it. I'd worry that with that sharp-edged, flat delta planform, controlling the attitude would be tricky and unstable, meaning it would vary its attitude randomly and unpredictably, or even flip over completely! Aside from questions of the aerodynamics and peak heating, my fundamental problem with the idea of using a glider for a moon mission is the enormous mass penalty of dragging those wings all the way to the Moon (possibly even down to the surface!) and back, just to see them get 30 minutes use on re-entry. That’s mass that could be put to much better use on almost any conceivable mission. Of course, this is also a problem with using a glider for Earth Orbit operations, but IMO pushing it to the moon sends the idea from the merely absurd to the totally ridiculous. Lifting bodies or lenticular vehicles would be better I think, with capsules coming out on top unless there’s some really compelling need for atmospheric manoeuvrability. NTO/UDMH have better "shelf life" as cryogenics fuels, but oddly in space it got similar problems, do it's temperature range. so you must keep the two around + 10 deg C to be save, not get freeze block on ice in side the tank or exploding it do overpressure ! OK, but by 1969 the Americans at least have had years of experience managing these issues, as have probably the Soviets. It clearly can be done and should be routine by 1970. OTOH I've come to doubt my certainty that the Soviets can do a flyby "tomorrow" with what they have on the shelf the day Muskie announced the goal of Columbia. It all hinges on what a "Proton" rocket is ITTL. I've been assuming it is identical to OTL Proton, that is, three hypergolic stages that can place 18 tons into orbit. OTL this configuration was tested out in 1965 and became standard shortly after; I assumed that all references in canon posts and wiki material to "Proton" launches referred to a rocket of this capability. But what if they don't? I don't know how or why OTL Chelomei's UR-500 started to be called a "Proton" so I don't know what the odds were against the same name being applied ITTL, but anyway someone did. What if they actually gave the name to the UR-200 though? The "Vehicle" page (which covers only launcher rockets, not the manned spacecraft, whose descriptions have to be gleaned from the posts) mentions only UR-200, not "Proton" by name nor any hint of UR-500. Sorry for the confusion here (ironically, I kept the name Proton in an effort to avoid confusion!). To clarify, here’s the situation. The R-200 (which started life as the UR-200) a.k.a. “Kosmos” is Yangel’s hypergolic medium-lifter. It’s roughly equivalent to Mishin’s kerolox M-1 “Zarya” rocket in lift, just under 10 tonnes to LEO. The UR-500 “Proton” is Chelomei’s hypergolic heavy lifter (and doesn’t currently have a Wiki entry, sorry). It’s a 3-stage rocket (as mentioned in Part-II post#9), broadly similar to OTL’s Proton-K, with a maximum payload to LEO of around 20 tonnes. This is slightly lower than Proton-K IOTL, reflecting its earlier deployment ITTL and so a slightly less refined design. Edit: forgot to mention, the name "Proton" IOTL, as was customary for Soviet rockets, came from it's first payload, an astrophysics satellite. As my general policy in writing this timeline has been to change names only when there is a significant design difference (which there isn't for Proton), I've assumed that a satellite with the same name also served as TTL's UR-500's first payload. Unfortunately, this naming policy fall apart for the R-200, which is very different from (and a lot larger than) OTL's Kosmos rocket. This anomaly arose because "Kosmos" is the generic code-name used for Soviet satellites, especially military ones, so if a rocket's first payload is for the military it's very hard to avoid the name. For similar reasons I've had to stick with "Mars" and "Venera" for the probes - they're just too generic and obvious to avoid. Just be grateful I'm not usually throwing in GRAU numbers as well! So, what’s your betting now? It would be an interesting question whether, in the ATL evolution of sentiments, a new nuclear rocket would look like a step forward into a Utopian future and perhaps avoid all association with military thinking, and therefore recommend itself to the Columbia designers. Well, there’s not been a major civilian nuclear accident yet, but TTL’s early ‘70s does have its Green movement, and the heightened Cold War tensions (much higher than IOTL at this point, closer to our early ‘80s) mean that “nuclear” is a word to provoke fear. So aside from the engineering challenges (which you’ve outlined quite comprehensively), it wouldn’t be popular from a public relations point of view. Yep, they’re getting off pretty lightly compared to OTL! Part of this is the slower, more deliberate pace of development. With an extra couple of years of debugging, the TMK probes are now pretty reliable for Soviet tech (only a 50% failure rate for Mars-4/5! ), and with the landers adding more data points to the Safir aerodynamic studies, Chelomei has one more reason to point to for junking Zarya and going with his all-new capsule. In fact Columbia and the unmanned probes are very disconnected ITTL. As you’ve noted, NESSA is expanding its capabilities in a progressive, incremental approach, and isn’t really set up for crash programmes. The data from Lunar Surveyor (which pre-dates the Columbia announcement by almost 2 years) definitely helped refine the DRA and NACAA proposals for Columbia, but neither project is seen as depending on the other. NESSA has other fish to fry in the early ‘70s, starting with their planned Venus radar mapper and building up to a certain once-in-a-lifetime launch window near the end of the decade. They’re not going to be too keen on being diverted to support NACAA’s manned space programme (which is a competitor for Congressional funding that clearly should be coming to NESSA). Basically, yes. The C-130 recovery technique is as used for US spysat film capsules. As for the discussions on in-orbit cryogenic stages and nuclear engines, I’m reading with interest. Since Proton analogous to OTL does exist and has several successful launches listed in your partial list (and who knows how many others, plus failures that you say are mostly behind it, though surely there will be others in the future as there still are to this day OTL with this most successful launch system) then I'm back to my original position--the Soviets have very little to add to what they have to do the lunar flyby very soon. Not nothing; they still need to develop the TLI stage, which could be an upgrade of Mishin's third stage or hypergolic; either one gets similar ISP. From an 18 ton payload in orbit, that should be adequate to sling even a Zarya that masses somewhat more than 4 tons on the mission. I think it could go up to six tons and still be comfortably within Proton's orbital payload. All the elements they already have they've had for many years now; the new ones (improved TPS and fuel supply for Zarya; the TLI fourth stage) are easy add-ons. Looking at what is on the "vehicles" page right now, I'd take the engine from Block B of the M-1, the VM-202, that has (along with, strangely enough, the engine from Block A which has to thrust in sea level pressure) ISP of 322, the highest Soviet engines listed, and attach it to a tank holding 11.4 tons of ker-lox propellant; that's how much is needed, out of 18 tons total, to propel 6.6 tons to TLI (of 3150 m/sec added to LEO speed). I figure if the engine masses one ton, the tankage and stuff could mass 700 kg (comparing the block B and D, whose engines both deliver almost the same thrust) so that leaves 4.9 for the Zarya itself. The OTL Proton second and third stage hypergolic engines got ISP of 326 which is better than the VM-202s, but perhaps they aren't quite that good ITTL? As it is Mishin would be unhappy relying on the Proton's three hypergolic stages, as he was with R-6 plus his kerlox stage for Varya's first few launches; but I'm looking at it from the point of view of assembling together necessary elements as quickly as possible. All they need is a green light from the Kremlin and they'd be good to go within a year I'd think. If it even takes that long. It would be foolish to do it without some kind of test flight; I'd suggest as OTL, something analogous to "Zond." That is, make the Zarya and TLI stage, but first send up an unmanned version, possibly with animals on board. They might go so far as to disguise it a bit with some lightweight exterior props that obscure that it is a Zarya at the core and bill it as merely a flyby probe, not even mentioning the critters aboard. What is being tested is the new TLI stage, and then the new Zarya TPS, as well as the magnitude of need for mid-course corrections. The risk of course is that the cosmonaut still might be killed en route or on reentry, despite the successful test. That seems like a risk worth taking, though; the Zarya has the cosmonaut aboard who is keenly interested in guaranteeing his capsule's safe return, so if a robot could do it so can he. The other risky phases would be before the public announcement; if the Proton misfires he escapes with the already proven Zarya LES (probably) and if the TLI stage misfires--well, either nothing happens and the Zarya is brought down with him aboard, or a tragic accident has happened that the Kremlin can either announce or suppress at discretion. Now as you say the Kremlin has not in fact approved this mission, instead they've kicked the decision downstairs to the appropriate committee. This just confirms me in my contempt for Shelepin, a Shemp indeed! They can take Muskie's vague "bet" and win it practically tomorrow; whereas the committee is going to dither, torn between Mishin, Chelomei and perhaps others who don't want to be distracted into doing it at all. Mishin might well abhor using the Proton and demand the chance to upgrade the M-1 to match it--which is quite doable I suppose, needing merely to replace his little third stage with a bigger one and then the fourth stage which might well be his design in any case. I think this is possible because the UR-200, which is essentially Proton minus a stage, and the M-1 "Zarya" are neck and neck in tons to orbit capability. Chelomei might well gloat that his hypergolic rocket is the one that is ready to go today (and has been for years) but then spoil it by insisting that the spacecraft be some paper project of his own, which more likely than not will be heavier than Zarya and in any case will take longer to build and verify than even a Zarya upgrade. As for pessimists who don't want to do it at all, or want to wait--the Soviet Union ITTL is clearly worse off on the whole than it was OTL. And we know OTL it was bad enough. In the OTL Brezhnev years though, at least until the later '70s, there was definitely a widespread belief in the USSR that some sort of progress (if not quite up to the promised dream) was after all happening. This may have been a foolish delusion, not reckoning with fatal flaws already deep-rooted and inexorable, but the high style Brezhnev's openly corrupt apparatchiks enjoyed was not as resented as it might have been, due to visible improvements in the modest Soviet standard of living even at low levels. In OTL retrospect this may have clearly been an "Indian Summer," based mainly on the perfection of an industrial economy already obsolete and on petrodollars (not I suppose "dollars" really as the USSR did not export to the USA, but Euro-dollars anyway as they exported natural gas and other petroleum products to Western Europe and perhaps Japan) covering Western loans to purchase hard-currency Western imports. But anyway the feeling was there, OTL, that by their own standards and in their own Soviet way, they were doing well. 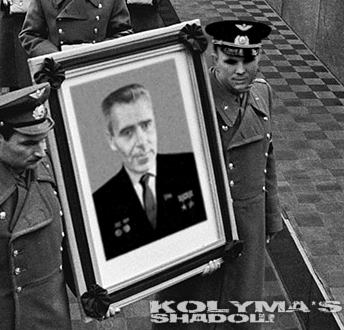 What I rather hoped would happen as I opined at the time of the coup in the mid-60s was that Shelepin would very quickly find himself in over his head, outclassed by other Politburo members determined not to allow any single individual to position himself to become the single leader and build a "cult of personality." All these men had lived lives of fear so deep they were half-numbed to it under Stalin; when Stalin was finally dead I gather, from what Kremlinology I understand, that the relief was great. They were dead serious about avoiding another "personality," and a factor in Khrushchev's downfall was that he had a bit too much of that himself. There were "Stalinists" among them in the sense that there was some reason to doubt the USSR could survive too much freedom and the notion that a certain amount of terror was good would not be too strange to any of them. But surely they'd be vigilant enough to prevent any one of their number from becoming a new Stalin indeed? Especially someone from the security organs? So I figured Shelepin would find himself in a gilded cage very soon. OTL Brezhnev also did display some signs of "cult of personality," including an Idi-Aminesque tendency to give himself lots of medals. But I don't think it's unfair to say he was a bit of a buffoon, and therefore not too feared, and he was a pal to his cronies, not the kind of snake Stalin was, and in fact all important decisions (and just about every trivial one too) were in fact undertaken by committee in his regime. He always asked his peers what they thought, and lobbied for consensus, rather than try to ram anything through. I don't recall any major purges of the top levels; people below did suffer some chill winds of Stalinesque hard lines, such as anti-Semitism that covered a lot of repression. But the atmosphere was one of a distinct relaxation compared to Stalinism (and if not compared to Khrushchev's best years--those good times were not typical, Khrushchev too would go back on them). But here you have Shelepin still clearly running things. He has not made himself another Stalin nor could he I don't think. But it seems clear enough that whether the good feeling of the OTL Brezhnev years was mere thin froth or had more substance, either way it is absent here. There is no suggestion that the Soviets are better off in any sense and quite a lot of reasons to think they are worse off and know it. Perhaps their gloomy situation is more stable than OTL exuberance; if they haven't had their hopes raised, perhaps they won't react as their OTL counterparts did in the late 80s and early 90s and dare rise up, particularly if there is no one to play Gorbachev's OTL role. (Gorby himself may or may not live and live well, but he probably won't be prepared to act as he did OTL). But if life in TTL USSR remains a grim gray grind, perhaps adventures in space will not play as well. I don't know; OTL the regime made a big deal of cosmonauts and it is probably still excellent Socialist Realist theatre here too; latter day analysts of Stalinism make much of the "bread and circuses" aspect of Soviet life. I'd think that even if the space program is objectively costly, the regime would still promote it for its ideological value. But it seems Shelepin is a Shemp, and a no-fun one too. His military advisors may be very worried about coming up with sufficient weapons to deter Western adventurism, and alarmed at the possibility desperately needed resources might be foolishly squandered in extraterrestrial showmanship. Therefore their factions in the space committee might drag their feet. Too bad. Khrushchev would be seizing this moment I think, if not having already laid plans to seize it years before. If only I weren't convinced the USSR as a whole is headed unstoppably toward either final and dramatic ruin or anyway getting mired in a vicious circle of contracting resources, I'd take comfort in the long run. As it is, I'm worried that all the patient building up of competence will be wasted and come to nothing as the regime collapses before anything much can be scheduled. Sorry, a clarification: All of the Isp values quoted in the Wiki are vacuum-equivalent, to make them Silverbird compatible. I’ll update the Wiki to clarify this. Now as you say the Kremlin has not in fact approved this mission, instead they've kicked the decision downstairs to the appropriate committee. This just confirms me in my contempt for Shelepin, a Shemp indeed! Well, to be fair to The Shemp, he’s not actually vetoed it, he is just not that interested one way or the other. This lets others on the Politburo sway the argument towards spending on other things, like guns, planes, ships, missiles and (if there’s something left over) wheat. This isn’t so far from the general OTL attitude of the Soviet leadership post-Khrushchev. Shelepin ITTL has been a bit too ruthless to allow himself to be caged by his colleagues, helped by the strong support of the KGB and his sponsorship of the Red Army. He’s no-where near Stalin levels of personality cult, and doesn’t have Khrushchev’s flamboyant exhibitionism, but cultivates more of an air of the stern father of the nation (ironic given his relative youth), guiding and occasionally punishing his wayward children where they need it - for their own good, of course. I agree Khrushchev would have risen to the challenge, but I’m not so sure about the “laying plans” part. He had a history of asking for impossible feats from his rocketeers, without worrying too much about if they were feasible. “Great, you launched a satellite! Now do something even more spectacular for the anniversary of the revolution… next month!” Fortunately for him, in Korolev he had someone who could make the almost impossible possible. I'm afraid the next post will be appearing a little later than usual as I'm travelling this weekend, but I still plan to have it online by the end of Sunday CET. And, of course, the Vostok and Voskhod were 4.7 and 5.6 tons, respectively. Zarya, being designed with a similar layout in a similar role by similar teams, is presumably about the same mass--too heavy. Threadmarks: Part III Post #6: Yes, But What’s it For? Part III Post #6: Yes, But What’s it For? The history of the Dynasoar Orbital Laboratory, much like the rest of the Dynasoar programme, is one of a solution looking for a question. Originally envisioned as a platform for medium-term (on the order of 1-2 months) manned military observation missions, this role was being brought into question even before the Thebe-DEL DS-9 mission highlighted the limitations of this approach. By 1967, the focus of the mission had changed to a long-duration technology and scientific research facility, with the objective of developing the capability to support long-duration manned flights and investigate the military missions that such a capability would permit. In other words, the mission of DOS became to discover what the mission of DOS was. This lack of focus was not lost on the Congress, nor on the Nixon or Muskie administrations, but the project stumbled on partly through the lobbying of the aerospace contractors involved, partly to avoid a the development of a capability-gap with the Soviets (who were known to be working on a similar space platform themselves), and partly through sheer inertia. Though funding was gradually restricted as the 1960s headed for their close, there was never quite enough at stake to justify cancellation of the whole project, although the original six missions planned (with a new DOS station per mission) were reduced to just two. One advantage of the change in DOS’ mission was a switch from the polar orbit favoured for military reconnaissance missions to a lower-inclination orbit, based on a launch from Cape Canaveral. This change, confirmed by Air Force officials in July 1968, allowed almost two tonnes of additional performance to be wrung out of the Minerva-24 launch vehicle, immediately easing the weight-growth problems that had plagued the programme. This was not enough to permit the original concept of launching a crewed Dynasoar on the same vehicle as the DOS to be reinstated, but it did mean that the risky and expensive option of launching the station partly empty and having the first crew ferry up experiments in their Mission Module could be rejected in favour of fully fitting out DOS on the ground. Any lingering concerns over the ability of Dynasoar to rendezvous and dock with the unmanned station were alleviated following Rhene’s successful link-up with a target vehicle on mission DS-10 in July 1968, and Air Force planners were keen to take advantage of this approach to allow multiple flights to each DOS rather than dispose of the station after a single mission. The first DOS station, now re-named “Starlab”, finally made it to the launch pad at Cape Canaveral in October 1970. The mission would be the fifth flight of the Minerva-24 configuration, but the first from the Cape, with the four earlier missions having been NRO launches from Vandenberg, all of which had been successful. This impressive reliability record was maintained when the Starlab-1 launch lifted from the pad on the morning of 8th October to place the 19.5 tonne space station into a 452 x 458 km, 28.5 degree orbit about the Earth. Following the launch, Mission Control at Vandenberg began activating the station and checking that it had survived the launch in a healthy state. Although most readings at first appeared to be nominal, telemetry showed an unexpectedly low power reading from one of the two solar panels. It was soon determined that the panel had failed to deploy fully, cutting its effectiveness by a third. A number of efforts were made to free the panel remotely, first by rolling the station to combine thermal cycling with a mild centrifugal pull, then by “hammering” the station with brief pulses from the attitude control jets, but neither attempt was successful. As the overall power loss (around 20% of total generating capacity) was within acceptable margins, and considering all other systems appeared to be operating nominally, it was decided to go ahead with the Starlab-2 mission and have Dave Merricks and his crew perform a visual inspection and, if feasible, a spacewalk to straighten out the panel. The Mk.II glider Athena was therefore rolled out to the pad atop her Minerva-22 launcher two weeks after the Starlab launch in preparation for the mission. Athena’s launch on 20th October went off without a hitch, and Merricks, McEnnis and rookie astronaut Martin Quinn settled in for what was expected to be a two-day flight to rendezvous with the space station. This portion of the flight was made more uncomfortable by the fact that the Starlab-2 Mission Module was packed with additional supplies, rendezvous and docking instruments, and extra fuel for the MM’s power system to support Athena’s planned four-week stay on-orbit. This meant that the three crewmen were more or less restricted to the main cabin of the Dynasoar glider (though, thankfully, access to the Mission Module’s toilet facilities remained possible). Fortunately, guided by the global tracking stations and ground support available to the Air Force, the rendezvous manoeuvres all went as planned, and on 22nd October Athena had crept to within a kilometre of the Starlab station. At this point Merricks performed a fly-around of the station, whilst McEnnis and Quinn trained binoculars and cameras on the station, relaying their observations back to Vandenberg and the waiting experts. The images sent back quickly confirmed that the starboard solar array had failed to fully deploy. Although the quality of the TV images wasn’t clear enough to confirm the cause, the astronauts reported seeing some twisting in the struts of the deployment mechanism, and it was presumably this that had caused the jam. After assessing these initial observations and consulting with the Starlab-2 crew, the Air Force experts agreed with the representatives from Douglass that there was nothing visible that would cause a mission abort, and Athena was given permission to attempt a docking. Guided by Starlab’s beacon, radar measurements and a black-and-white video camera at the rear of the Mission Module, Merricks gently backed Athena towards the station at a final closing velocity of under 1 m/s, gently nudging Athena’s probe into Starlab’s drogue receptacle for a textbook docking. Following docking, the crew quickly relocated to Starlab’s spacious interior and began making themselves at home. The first three days were spent unpacking Athena’s Mission Module and powering-up the stations systems, following a new procedure telexed up by Vandenberg to take into account the reduced power supply. There was one brief scare when an improperly sequenced start-up caused tripped some fuses, temporarily leaving the interior in darkness, but this was quickly resolved with no permanent damage done. The lack of power did mean that some of the more energy-intensive experiments that had been planned were abandoned, but for the crew the biggest disappointment was that the microwave oven intended to provide them with hot meals had to be left off, as did the water heater for the collapsible shower unit. Whilst not a serious concern in terms of crew health, it did impact morale. Despite the crew’s recommendation that McEnnis should use a pre-planned EVE on the second week to try to free up the stuck array and restore full power, Vandenberg Control rejected the proposal over concerns that the array could give McEnnis a shock and damage his suit. Over their four week stay, the Starlab-2 crew gained a lot of insight into how to live in space for extended periods, but the science and military output of the mission was relatively minor. Earth observation results from the two manned telescopes and from automated systems were only slight improvements over those obtained on DEL missions, confirming the limitations that had been previously noted. The space environment measurements and solar UV observations added more data points to results obtained from NEESA’s orbiting observatories, but broke little new ground. When Merricks, McEnnis and Quinn returned to Earth after twenty-seven days on-orbit - a new record - they brought back a wealth of knowledge about the effects of zero gravity on the human body and about operating and maintaining a manned platform over longer term missions, but nothing that fundamentally altered the debates over manned spaceflight. This experience was soon to be mirrored by the Soviets, with March 1971 finally seeing the launch of the Chasovoy-1 space station. Although officially a continuation of Chelomei’s Almaz station, under Mishin the Chasovoy had undergone an almost complete redesign, with almost all of the internal systems developed from scratch. The 17 tonne station was packed with a host of remote sensing equipment, including a large optical telescope that would out-class anything that had been carried on a Raketoplan mission, as well as a number of experiments designed to take advantage of Chasovoy’s long duration on orbit to space-soak new materials and instruments. Launched into a 230 km, 51.6 degree orbit by a Proton launcher, remote checks from Podlipki confirmed the station was operating correctly, with none of the deployment problems that had troubled the American station. With Chasovoy safely in orbit, on 22nd March cosmonauts Gagarin and Leonov launched in their Zarya-10 capsule to join the space station. This was only the second spaceflight for the “Second Man in Space” (as the American press still insisted on labelling Gagarin - to the Soviets he was “The First Man in Orbit”), whilst his nominal subordinate, Leonov, was making his third flight. Despite Leonov’s greater experience, there was no way that the Soviet leadership was going to demote Gagarin to second place, but fortunately the good nature and personal warmth shared by both cosmonauts made this a non-issue for the mission. After three days chasing down their target, Zarya-10 finally docked with Chasovoy-1 on 25th March. Upon opening the hatch the cosmonauts found everything more or less in order, although the air smelled “a little stale” according to Leonov. Checks soon confirmed that nothing major was amiss though, and the pair settled down to four weeks of experiments in the new space station. Almost all of these experiments remained top secret, but broadly they mirrored the type of reconnaissance attempts that the Americans had been making with DEL and DOS, with broadly similar results. Although Soviet photoreconnaissance satellites remained inferior to those of the United States, it seemed they were still sufficiently advanced to negate any significant benefits from a manned system. More significant scientific results came from the studies of Gagarin’s and Leonov’s biological reactions to their month-long stay in the roomy station, with the most unexpected result being that Gagarin, finding himself with more room to move around than had been the case on Zarya-1, had suffered from space sickness during his first day in Zarya-10. He quickly recovered and suffered no further problems, but the fact that it had happened at all was a huge surprise to those few doctors who were permitted access to the records - records wrapped in at least as much secrecy as the military experiments. In total Gagarin and Leonov spent thirty days aboard Chasovoy-1, a duration largely set by Mishin’s desire to beat the American record with Starlab. Gagarin and Leonov both conducted spacewalks in that time, exiting the complex via the Zarya-B orbital module’s side hatch, which eliminated the need for a separate airlock on the station itself. Over the period of their stay on the station, the mission remained routine, but problems were encountered when it came time to return to Earth. Zarya-B had been designed as an evolution of the basic Zarya design to allow Mishin to quickly expand his manned spaceflight capability and so demonstrate the Soviet lead over the US and his lead over Chelomei. Since its first manned flight in 1964 it had seen some incremental improvements, mostly centred around its adaptable orbital module, but no fundamental redesign. Originally intended for independent missions of up to a week in duration, there had been changes for the Chasovoy project to provide for a month-long “hibernation” period whilst docked to the station, with the updated craft dubbed “Zarya-BM” (with the M standing for “Modifitsirovannyi”, or “Modified”). However, when Gagarin and Leonov came to reactivate their craft they found that these changes had not been quite thorough enough. Tests before undocking with the station revealed that some of the small attitude control thrusters, needed to position the craft for its de-orbit burn, were no longer functioning. Though facing a potentially life-threatening situation, the two veteran cosmonauts calmly reported their situation to ground control and remained docked at Chasovoy awaiting instructions. At Podlipki, Mikhail Tikhonravov, Zarya’s chief designer, quickly came to the conclusion that some of the spacecraft’s hydrazine propellant may have frozen in the feed pipes during the long stay at the station. 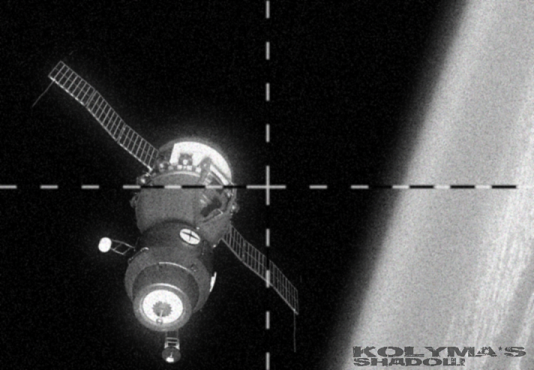 He instructed the crew to use Chasovoy’s thrusters to expose previously shadowed areas of Zarya to direct sunlight, which would hopefully unblock the lines. This was done, and after three more orbits Gagarin reported that Zarya’s thrusters were responding normally. To the relief of all involved, Zarya-10 proceeded to undock from the station and went on to conduct a nominal reentry and landing. Despite their different challenges and divergent heritages, the first Starlab and Chasovoy missions had broadly similar aims and returned similar results. Both were impressive technical feats and proved to demonstrate their owners’ ability to stay in space over increasingly long periods of time, but both had difficulty in answering questions as to their ultimate purpose. Starlab and Chasovoy had demonstrated how people could operate a space station, but were no closer to answering the question of why they should do so. Seem in this TL the Manned Space flight is depending from Lunar Initiative from White House. Quite a conundrum for them. They've got the stations, but they don't really have much of a mission for them. Soviets seem to be doing better here, with only a "small" problem that they managed to rectify to get back safely. That I will attribute to there being no N1 Programme sucking up funds, manpower, and priority easing the strain sufficiently for them to get it right. I thought I'd wait for this week's update to respond to the caveats against my enthusiasm for a single-launch translunar mission. The biggest clarification we got this week was on the matter of just what a "Zarya" is. The original reference was to Gagarin's first orbit, on a platform launched in 1963 on a R-6 rocket with Mishin's extra ker-lox stage enabling it. That version of Zarya was described as massing just 4 tons. This week we see a picture of the current version of Zarya, the two-man version--and what we see is practically identical to an OTL Soyuz! The service module is huge compared to the old Zarya, and it has an orbital module. Such a ship clearly must mass far more than 4 tons. And indeed upon reflection, 4 tons is a tiny payload to rely on to support a human being on a week-long translunar flight. If something goes wrong with any of the support systems of an orbital craft, there is the option of immediate abort to reentry--it might be undesirable since there is no recovery team ready to retrieve the returning cosmonauts, and might be very politically undesirable to land in the wrong territory, but if the alternative is certain death these drawbacks can be faced. If the same thing goes wrong in a deep-space ship, either there is a backup or the crew dies. I mainly worried about fuel for course corrections before, but there are thus two reasons why the service module of a translunar craft is going to be large. Thus, I can see that a standard Zarya "II" might well indeed be suitable for a translunar mission--but only at the cost of massing considerably more than the tiny figure we were given for the first Zaryas. Another factor giving me some hope earlier was vagueness about just what a Proton was capable of. The author has mentioned "20 ton" capabilities; I was going more strictly off of OTL 18 ton citations. A couple extra tons would sure be useful. Again this week's post suggests that 18 tons is indeed the limit, going off the fact that the Chasovoy station is just under that tonnage. Presumably if the Proton could have launched more, Chasovoy would be more massive. I might suggest that the standard, Soyuz-heavy Zarya can be stripped down--but I wouldn't because while I've always suggested it be a single cosmonaut mission (therefore the orbital module can be stricken outright) still adequate backups and propellant for course control argue against trying to slim it down to Zarya "I" masses. I pretty much have to fall back then on the idea of a two-launch, EOR mission being required just to manage a manned flyby. That throws in the problematic issue of a docking to a Proton-launched propulsion module--so it is gratifying that this week's Soviet update referred precisely to a Zarya docking with something! Indeed. This is largely based on the OTL experience, particularly the development of MOL, which really struggled to justify its mission in the end. Without Apollo competing for dollars, DOS/Starlab gets to the launch pad, and in fact does some useful scientific work, but still lacks that “killer app”. The success of Chasovoy-1 is largely down to two factors. First, is the maturity of the systems. The station is far less cobbled together than OTL’s Salyut-1, which grabbed hardware straight from Soyuz in order to get something - anything! - up before Skylab. Similarly the Zarya, even with the modifications of the BM marque, is a fairly mature design now. In-space docking has been done with an unmanned target vehicle back on Zarya-8 in 1967, so the docking system doesn’t run into the hitch that scuppered Soyuz-10s trip to Salyut. The second factor? Luck! Manpower and funding isn’t being diverted to N-1, but as the post mentions it is getting sucked up by other military spending. That competition for resources won’t be helped by the less than revolutionary capabilities displayed by Chasovoy-1. Well, I’m the first to agree that a picture paints a thousand words Despite the clear visual similarities to Soyuz, Zarya is actually slightly smaller. Zarya-B (sporting a 2-man crew capability and an enlarged service module with solar arrays) first appeared as Kosmos-27 back in 1963, with the first manned mission being Zarya-3 in 1964, as described in Part-II Post#4. She got a specially modified airlock - a kind of proto-orbital module - for Gorbatko’s spacewalk on Zarya-4, and a similar small orbital module containing docking equipment for the Zarya-6 mission in 1966 (which failed to dock with its target). The aborted Zarya-7 mission also had this orbital module, as did Zarya-8, which docked with Kosmos-52. When carrying this docking module, Zarya-B comes in at around 5.5 tonnes. The Zarya-BM is a further modification that standardises the orbital module for space station missions and has a number of ‘under the hood’ modifications for on-orbit storage (though not all of these were fully successful, as we saw!). All-up she masses just over 6 tonnes. I’m planning to add more details to the Wiki shortly. I’ve updated the Wiki with the UR-500/Proton stats now. It’s 18t to 250km polar, or about 20t to 55 deg 250km (note: that includes any fairing mass). Chasovoy-1 is thus a little overweight for a polar orbit (preferred for military observations), but does sit nicely within Proton’s capabilities for 55 deg. And just as a reminder on this note, remember that the TL's artwork is also up for voting here! There's a lot of categories I have not voted in, but the ones that included timelines I follow I went ahead and cast my votes in--so done for this story and anything any of the KS team touches. Even having more exact figures for Zarya (noting it is a somewhat scaled down Soyuz--after all the OTL Soyuz capsule can hold three suited cosmonauts but we've been told Zarya could not accommodate that many in space suits) I'm still reduced to handwaving, of course. Even though I'm very comfortable with the idea of it being just one cosmonaut on a flyby mission (thus the return capsule alone might be adequate space, better than a Mercury anyway) there is still the question of how much heavier, if any, than the standard design the TPS has to be. And while I can blithely speak of leaving off the orbital module, it would be a good thing to have on the flyby--not for living space but stuffed with a telescopic camera and other sensor goodies to give the mission some scientific justification (and use for possible future planned missions that might be more ambitious). The service module (possibly still called the "PA," for Russian for "instrument apparatus" where the latter word is translated "module") would have to hold a fair margin of propellant and also backed-up, failsafe life support and mission support equipment, so odds are any mass saved by paring the crew down to one is more than offset by the risky nature of the mission demanding more. For a two-Proton launched mission this is OK and perhaps a full crew of two could go as well as one. Using more pessimistic estimates of dry mass, I figure a module that is nothing but a hypergolic TLI engine could not manage to boost itself and the other 18 tons to TLI, but seeing as we have perhaps a 12 ton margin beyond Lunar Zarya itself in that other half, it could carry plenty of propellant to finish the job (about half the delta-V) and still have a decent margin of reserves for course corrections. Given the Soviets still have limited experience docking in Earth orbit I can't see the Zarya "backing in" to mate its rear, rocket end with the non-rocket end of the booster module, so I suppose it would have to be nose-on, meaning they'd be thrusted "upside down" or "eyeballs out" while strapped in their return couches. This might be good for the same reason OTL plans for an Apollo-derived craft launched (by a pretty standard Saturn V upper stage) to fly by Venus (in some versions a grand tour of both Venus and Mars) were going to dock nose to the Earth-escape, Solar-orbit launcher stage--if something went wrong with the Earth-escape thrust, the Apollo could undock and abort by firing its own fuel to return to LEO and home. With a Varya docked to a TLI booster nose-on, it too could escape a botched launch and have enough propellant to reverse the thrust and come back to Earth. (Here I'm assuming the second stage of TLI is simply integrated into Lunar Varya's expanded PA, so we'd have a Proton launching an 18 ton super-Varya). Having to do it in two launches with EOR rather puts a spoke in the wheel of doing a sneaky test of Zarya's TPS by sending out a disguised unmanned "Zond" mission; it would be necessary to coordinate docking the two pieces in orbit and that probably requires a Zarya on hand to supervise, so the test would require three launches. So would a more direct and obvious test, unless the Kremlin wants to risk the lives of cosmonauts on the test mission--which would comprise using a partial burn of the TLI booster module to raise their orbit, then using the rest of it and the expanded Zarya's own fuel to boost down hard, throwing the return capsule into a reentry as fast and hard as the one from the moon (but a week sooner obviously). This was done with Apollo's CM OTL, in an unmanned mission--NASA having that option because the whole test craft fit on one launcher. The Soviets here either have to bet the lives of the crew that the TPS is adequate (raising the question of why conduct the test at all), or either the docking can in fact be done well enough by ground control, or else a cosmonaut spacewalking over to the test vehicle (or possibly docking to transfer), then commanding the dock--then the way I visualized it working, the test Zarya would be docked nose to the booster so the cosmonaut would have to spacewalk back to the other, more standard orbital Zarya to return with assured safety after watching the test entry from orbit. The sneaky trick of pretending the test vehicle is really just a big unmanned probe and not tip off Washington that the race is on (and anyway, assuming the Americans see through it, give the Kremlin plausible deniability should the "Zond" fail in an embarrassing way) would be unbelievably thin after such elaborate steps; it hardly makes sense to demonstrate such large throw-weight to Luna and then not have everyone believe it is meant for a manned mission. They'd have to brazen it out and hope nothing embarrassing or fatal goes wrong. They'd still have to do the test so the US gets several Proton launch's notice the Russians are in the race. Or skip the test and run one hell of a risk. I guess I can see why Shelepin would not be keen to jump at such a plan and is instead waiting for his experts to give him one that is both exciting and fail-safe enough to bet on. With regards to a possible Soviet Manned Circumlunar Attempt. There are two ways for the USSR to attain a Manned Circumlunar Mission with what they have available to them at this time. The first is like OTL's attempts with the Zond Missions, where they put a stripped down Soyuz atop a Block-D Stage and launched the whole thing on a single UR-500 LV. The problem they face here, was that the Zond/Block-D massed 22,570 Kg IIRC, against the then-maximum payload of ~18,500 Kg so the Block-D was ignited twice, first to complete LEO-Insertion, then again for TLI. The rushed nature of the design showed however, since exactly ONE such Zond Mission was a complete success. The other as you've mentioned is the Dual-Launch EOR design, but for reasons of cost and time, I would suspect that they'd only fit a 'slightly' modified Zarya to a TLI Stage launched earlier (and massed for the Proton ITTL), which by my math would be sufficient for the task, either with N2O4/UDMH or LOX/Kerosene. Yours is more optimistic, I think. Zarya’s re-entry module remains 2m in diameter (as mentioned for Zarya-A in Part-I post#10), compared to OTL Soyuz’s 2.17m. The name “Pribornyy Apparat” (PA) is still being used for the Zarya service module. Well, as mentioned, Shelepin actually doesn’t care much one way or the other. If the rest of the Politburo approve the mission, he’ll go along with that, but he isn’t going to cheerlead for it either. It’s just not one of his priorities. A bit more on the route the Soviets are taking coming up soon! Glad you’re enjoying it! I agree, I think your thread is more pessimistic from a manned spaceflight perspective, but scarily that doesn’t mean less plausible! Whilst we’re not living in the best of all possible spaceflight timelines (that would be here ), it’s far from the worst. At the start of 1971, there was a refreshing sense of optimism around the Soviet space programme. Following the disappointing Politburo meeting of November 1970, Yangel had reconvened the KKRD and gotten agreement from the other Chief Designers for a crash programme for a Soviet circumlunar flight using upgrades of the Proton rocket and Zarya space capsule. With only minor modifications needed to the Zarya’s heat shield and equipment module to extend its in-space stamina, plus a new fourth stage for Proton developed in collaboration with Yangel, it was expected to be possible to launch the first one-man flyby mission as early as 1973, well before the Americans’ 1976 target date. To actually orbit the Moon, as Columbia was intended to do, would take a more complex, two-launch solution, but just being the first to fly to lunar distances would be a major propaganda coup. As James Wood had demonstrated to Yuri Gagarin’s cost, the general public weren’t going to quibble over such a technicality. As a quid-pro-quo for accepting the use of Mishin’s capsule, Chelomei was to be compensated by a boost to his Orel developments, with a two-man version to be launched by 1973 and missions in support of the Chasovoy space stations authorised. Mishin was loathed to accept this, seeing it as a reversal of the gains he’d made since 1965, but eventually conceded in return for the glory of the lunar flyby missions (for now known simply by its acronym LOM for “Lunnyy Oblet Missiya”). This new compromise was presented to the Politburo in January 1971 and was accepted, with the Council of Ministers issuing an official decree two weeks later, just over a year after President Muskie’s announcement of Columbia. The triumphant return of the Zarya-10/Chasovoy-1 crew in April would turn out to mark the high point of Soviet space achievements that year, as plans for a second mission to the station were scuppered when Chasovoy-1 suddenly lost all power on 28th April. No definitive cause was ever established for the failure, but Chelomei wasted little time in pointing the finger at Mishin’s generally lax approach quality control - an approach that seemed to be getting worse lately. The TsKBSO chief had found himself overloaded with work on the LOM circumlunar flight, as well as development of Chasovoy-2 and a host of unmanned satellites for the military. This situation was worsened by the frequent shortages in equipment and material being experienced by all of the Chief Designers, as Shelepin’s moves to tighten central control of the Soviet economy exacerbated the bottlenecks and graft inherent to the system. Even worse were the shortages in everyday goods being experienced by Mishin’s workforce as the de-prioritised civilian economy first stagnated and then started contracting, hitting moral and productivity. More and more frequently Mishin was reaching for the vodka bottle to escape these pressures, especially after setbacks like the loss of Chasovoy-1. Then came the heaviest blow: on 3rd October 1971, Mikhail Kuzmich Yangel, head of OKB-586 and the glue that had held the KKRD together, died suddenly of a heart attack. Given a full state funeral and a burial in the Kremlin wall, Yangel’s identity was finally revealed to the world as a “Chief Designer of Soviet missile technology”. Many in the West misconstrued this to mean that Yangel was the mastermind behind the R-6 rocket and subsequent Soviet space achievements, but the impact of his death would be far greater than some inaccurate encyclopedia entries. Without his skills in finding compromise where no others could, cooperation between the Soviet space bureaux completely fell apart. Yangel was succeeded at OKB-586 by Pavlo Kulik, his former deputy at Dnipropetrovsk, but though a competent engineer and manager, he lacked Yangel’s diplomatic skills and political connections. At the next meeting of the KKRD in November, Kulik found himself ignored as Chelomei and Tikhonravov fought one another over the progress being made (or not) on LOM. Chelomei called for the earlier compromise to be revised, once again championing his Safir capsule over Mishin’s “crude update of an obsolete design”. Tikhonravov argued on behalf of his boss (who still refused to be in the same building as Chelomei) that to change direction now would be to waste a year’s worth of effort and reduce their joint credibility in the eyes of the leadership. Glushko maintained a neutral position, which was in itself provocative to Tikhonravov considering that he had signed on to the joint proposal with the rest of them, but now appeared to be open to alternative options. Unable to get satisfaction at the KKRD, Chelomei began pulling his own political strings, having spent several years attempting to re-build his influence in the governing nomenklatura after the fall of Khrushchev. By January 1972, he succeeded in getting a decree through the Council of Ministers directing a reconsideration of the LOM architecture and authorising Chelomei to perform a series of unmanned tests of the Safir capsule, using funding reallocated from the “more mature” Zarya-V development effort. Mishin was naturally apoplectic at this move, but with the Americans experiencing their own problems and the leadership confident that the Soviet head-start in capsule design had given them an unassailable lead, the decision stood. The American’s troubles had started almost as soon as Muskie had announced Project Columbia in January 1970, and as with the Soviets, many of those problems were political in nature. Though the US economy was still relatively strong, the increasing demands of keeping up with the Soviets in the Arms Race meant that many in Congress considered that there were much better ways of spending $1.5 billion (the Administration’s cost estimate for the project through to 1976). That amount of money could pay for a nuclear supercarrier, and Muskie was asking them to authorise those funds for what Senator Proxmire famously dubbed as “little more than a glorified 4th July fireworks display”. Gaining support for Columbia was further complicated by the decidedly cold reaction of the Air Force, who were far from delighted at seeing another agency (a civilian agency, no less!) making roads into what had up to then been their monopoly on manned spaceflight. Suggestions were made that the inclusion of African-American astronaut Gary Jones on his first mission, DS-16, in June 1970 was a publicity stunt by the Air Force to gain some positive public recognition and so put pressure on the government not to raid their budget to pay for Columbia. This accusation was completely false, as Jones’ flight had been on the roster for two years, but that didn’t stop sniping from some quarters of the press and certain members of Congress. Perhaps surprisingly, many of the aerospace companies that had so effectively lobbied for Minerva proved to be decidedly lukewarm towards Columbia. Although in principle in favour of any new spacecraft development project (and the associated flow of federal dollars), the only new aspect of Columbia would be the spacecraft itself, and only one of the companies could win the prized Prime System Integrator contract (which was eventually awarded to McDonnell, the former prime contractor of the Mercury capsule). Most were much more interested in the parallel studies the Air Force had initiated into a fully reusable “Space Shuttle” system to succeed Dynasoar/Minerva. Such a vehicle would involve much larger sums of money for development, and would be big enough to require several of the top companies to work together on the project, spreading the wealth and lowering the risk of any one company being left out in the cold. It was therefore the Shuttle project, not Columbia, that became the main focus of the aerospace lobbyists. Coming at a time when von Braun’s public image was beginning to tarnish over inquiries into his Nazi past, this left Columbia with very few effective advocates on the Hill. Despite these political difficulties and a pruning of the requested budget by Congress, NACAA proceeded with Columbia at a reasonably brisk place, holding an initial System Requirements Review in February 1971 with the aim of reaching the Preliminary Design Review by March 1972. In some ways the restriction of resources actually speeded up the project, as without funding being available to explore alternative architectures Faget and von Braun were able to push through their capsule concept with minimal resistance. In addition to Faget’s preferred blunt cone, NACAA had conducted several studies into biconic, lenticular and lifting-body shapes in the late ‘60s, partly as a response to Air Force desires for a Dynasoar follow-on, but a lack of cash meant that these options were quickly ditched for the simpler, more mature conical reentry vehicle married to a cylindrical service module, giving the spacecraft a full Lunar orbit capability. With this strong guidance from the top, the technical aspects of the project appeared to be fully on track as the detailed design was hammered out throughout 1971, before tragedy struck America’s space programme. Edward Karski had joined the Air Force astronaut corps in 1965, as planning for the first suborbital Dynasoar spaceflights was taking place. A Korean War veteran and former test pilot, Karski undertook his first space mission on Pete Knight’s DS-8 flight, part of the first multi-man crew in US space history and the first orbital mission for the Dynasoar Mk.II. This had been followed with a place on the DS-12 DEL mission in 1969, on which he spent two weeks in orbit, before finally being assigned as commander and sole pilot for the DS-22 mission, scheduled for a May 1972 lift-off from Vandenberg. This would see Karski take the Mk.I glider Rhene into a polar orbit to test the ability of a new long-range laser targeting system to acquire and track a defunct NRO satellite. It was also hoped that the laser may be able to interfere with the target’s functioning enough to act as an anti-satellite weapon, as a non-destructive counterpart of the Soviet IS weapons then under test. However, Karski was destined never to fly the mission, as a training and check-out exercise a month before the scheduled launch went horribly wrong. Rhene was undergoing a pressurisation test, with Karski on-board to report cabin readings, when a spark from worn wiring triggered a fire in the pure-oxygen atmosphere of the cabin. Karski immediately tried to get out of the cockpit, but found that he couldn’t unclasp the seatbelts holding him in place. By the time the support crew were able to open the hatch and douse the flames enough to pull him out, Karski had suffered severe burns to over 80% of his body, and died shortly afterwards at Vandenberg’s infirmary. The tragedy was perhaps made worse by the blanket of secrecy the Air Force immediately tried to wrap the accident in. As with most Dynasoar missions, the purpose of DS-22 was rated Top Secret, and the involvement of the NRO (the very existence of which was highly classified) added to the official paranoia. Aside from a brief statement that Edward Karski had died during test operations, no details were released, even to the family. At the funeral, the coffin was sealed shut to prevent anyone seeing the type of injuries suffered. Needless to say, this secrecy was unacceptable to Karski’s family, and his widow soon became a familiar sight in the media as a focal point for the peace movement and other anti-military protests, who had long been opposed to the space programme as another example of how the Military-Industrial Complex wasted tax dollars on destructive technologies rather than solving pressing social problems closer to home. A few heavy-handed attempts by the Air Force to dissuade Mrs Karski from public speaking only increased the public outrage, and when other Air Force wives broke their silence over fears that safety was being compromised in the Dynasoar programme, the issue was elevated to one of national importance. Finally, in mid-1973, a Congressional investigation was started into the affair, which reported back in October the same year. The hearing heard that the root cause of the fire had been traced to worn wiring in the glider’s control console, which ignited a fabric “Remove Before Flight” tag that had been left in place after installation of the payload’s control panel. The faulty wiring should have been spotted and replaced as part of the normal Dynasoar post-flight maintenance cycle, whilst the tag should not have been present during a high-pressure test. The final report pinned both of these omissions on crew tiredness, schedule pressure and overconfidence in the ability to support a high sortie rate. As the astronaut wives had feared, the report also uncovered other, related programmatic problems on previous flights, at least two of which could have caused crew fatalities. The report listed over one-hundred recommendations to be implemented before Dynasoar flights be resumed, with an additional fifty-six recommendations to be implemented in future spacecraft design, including for Columbia, which was now just forty months from Muskie’s July 1976 deadline. In the meantime, Dynasoar was grounded. There goes the Peacemaker in the Soviet Spaceflight Departments. And without him to hold it together, the poisonous politics that plagued their efforts IOTL I suspect are really going to show up now - if Mishin's reaching for the Vodka is anything to go by. And the USAF is getting a lot of public attention that they really don't want now. From the looks of things, this - combined with the other Fire and near-misses - might form the Apollo 1 Analogue to force improved QA and design improvements to keep this from reoccurring. From what I read, it looks as if the Single-Proton-Launch design using an oversized 4th Stage is what they've gone for. Which I believe will carry the ad-on benefit of giving the Soviets proper GEO Capability - something which I suspect would make the Soviet Leadership more interested in allocating funding for it for said benefit. More details have been added to the Wiki.